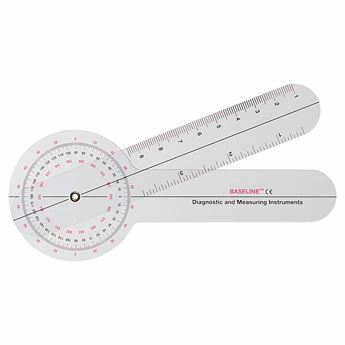 Scale is in 2° increments for improved reliability. 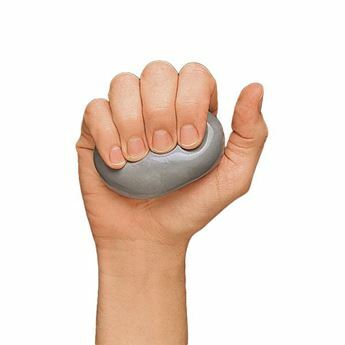 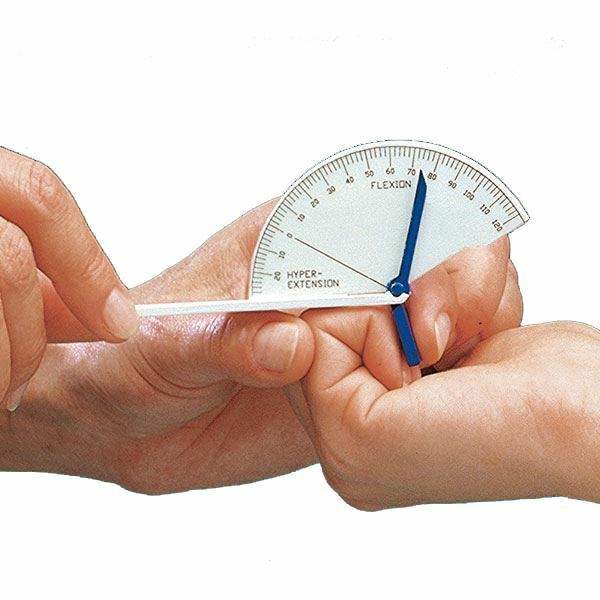 The 9.5cm long arm, clears the wrist for accurate placement. 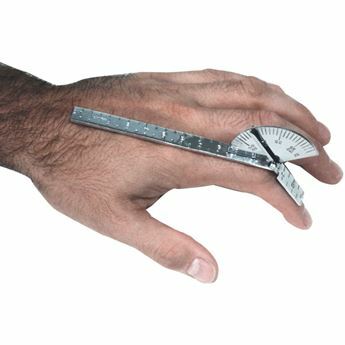 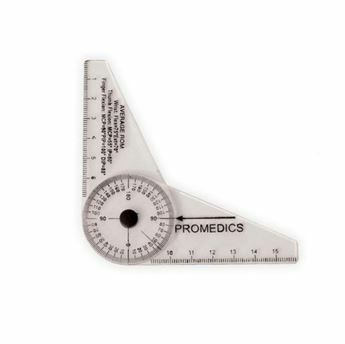 Short arm is only 2cm long, allowing precise measurement of DIP range of motion. Readings range from 30° of hyperextension to 120° of flexion. 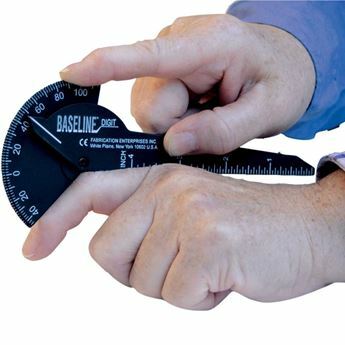 Tight-fitting blue hinge enables therapist to read the goniometer after removal.